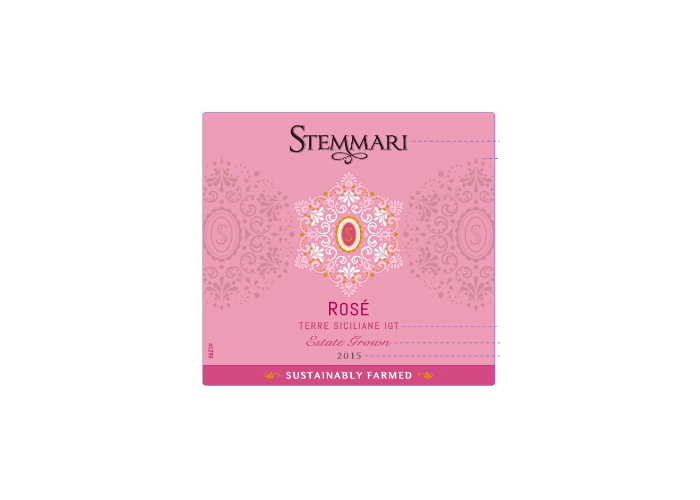 Stemmari Rosè is produced using an indigenous Sicilian varietal, Nero d’Avola. The grapes are cultivated on sandy soils in the Ragusa province. Careful management of the vineyards allows us to protect the grapes from the hot sunrays and preserve the natural freshness and acidity of the grapes. Nero d’Avola is picked at the end of August.During the rosé vinification process, the grapes undergo cold maceration for 12 hours, followed by a soft pressing, in order to obtain a partial extraction of color from the berries while retaining the freshness of the fruity aromas. Fermentation at controlled temperature of around 16-18°C follows which preserves the fresh and fruity fragrances. After fermentation, the wine remains on the lees for about 4-5 months, preserving its freshness and roundness. Color: light violet, light ruby redBouquet: strong notes of wild strawberry, typical of the Nero d’Avola.Flavor: an exceptionally warm, delicate-structure that strikes the ideal balance between minerality and freshness. This wine pairs well with appetizers, as well as, light vegetables or white meat dishes. ROSé STEMMARI Rosé 16 - 91 pts.